Do you like pineapple ? The citrus fruit contains citric acid and has an acid taste and is refreshing. 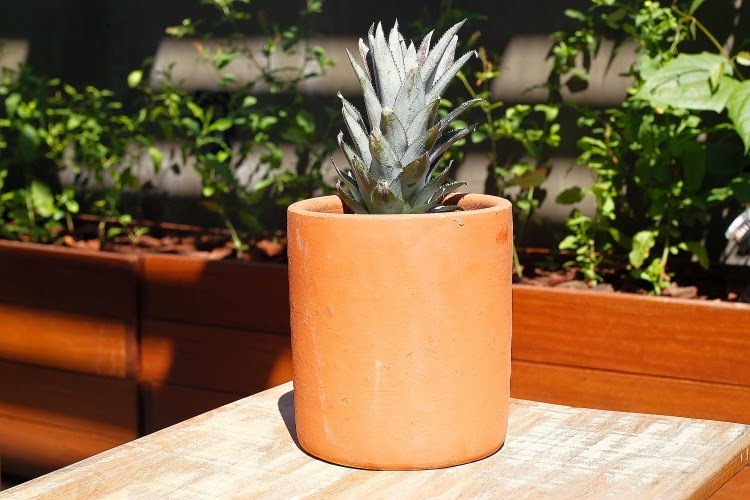 The pineapple plant takes over a year to bear fruit, but also has great ornamental appeal in the meantime, making your home more beautiful. 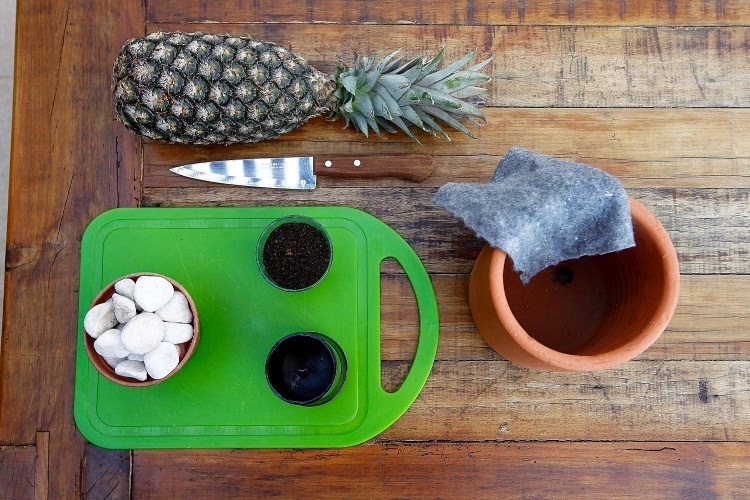 The landscape architect Ronaldo Kurita teaches how to grow it in pots. 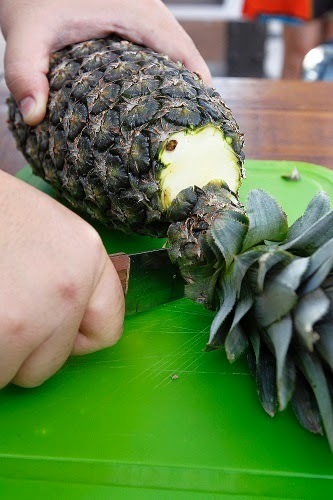 Take a healthy fruit and cut the crown with a knife, leaving about two fingers of the fruit at the base of the leaves. 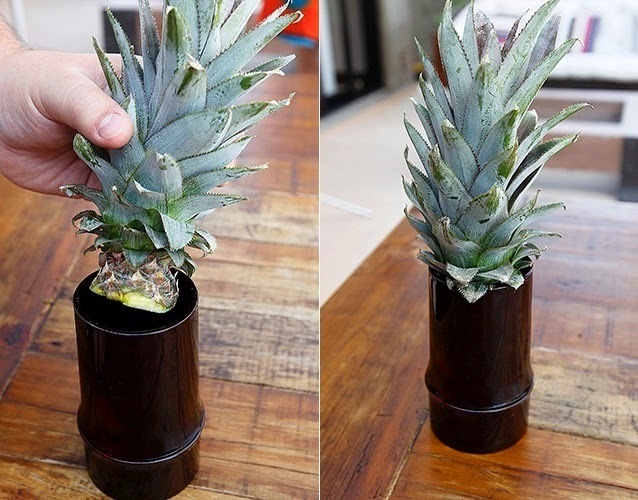 Now put the crown in a container with water just up to the base of the leaves . I recommend the container be dark, to accelerate root growth. However , nothing prevents you from using a transparent jelly jar if you don’t have a dark one; it’s OK. Note: never let the leaves get wet or submerged . Change the water every two days. The roots emerge after about two weeks and then it will be ready for planting. covering them with the felt. The fabric helps in drainage and prevents nutrients from the soil to drain out when watering. 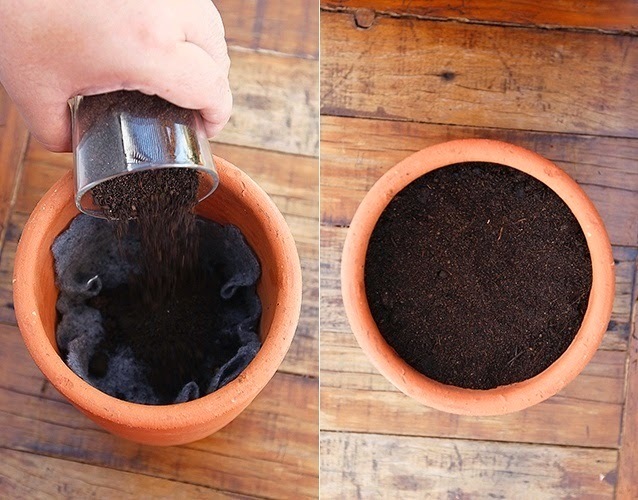 Then fill the pot with soil. The trick is to fill the container , leaving a margin of about two fingers from the top edge. Place the plant and cover with thesoil around the sapling. 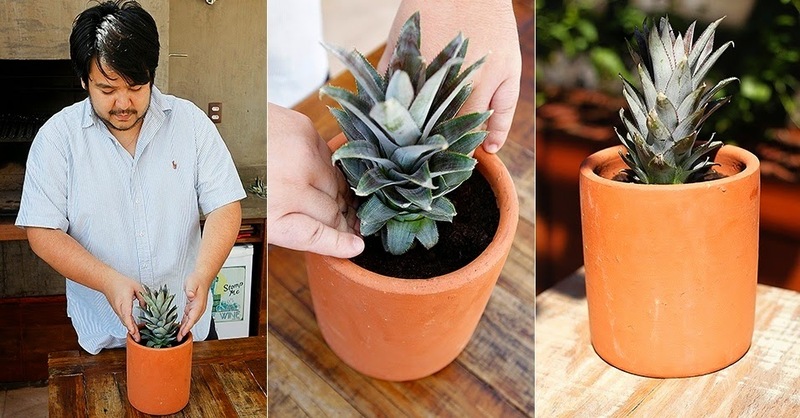 The pot must be in a place that receives six hours’ sunlight per day and earth must be kept moist, watering about 200 ml of water every two days . 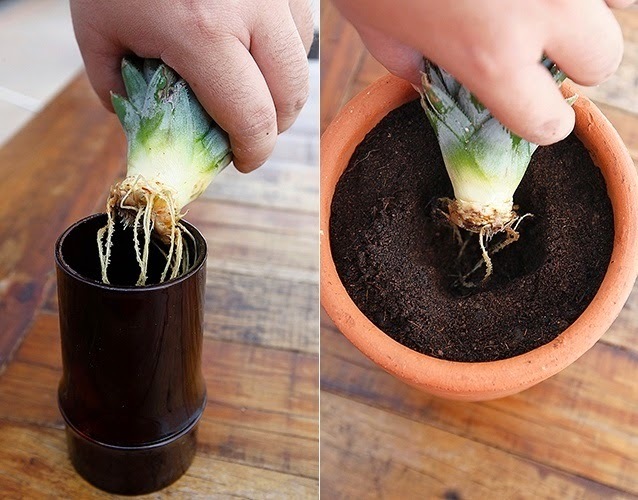 If you want, afterwards you can transfer it to a larger pot if necessary.